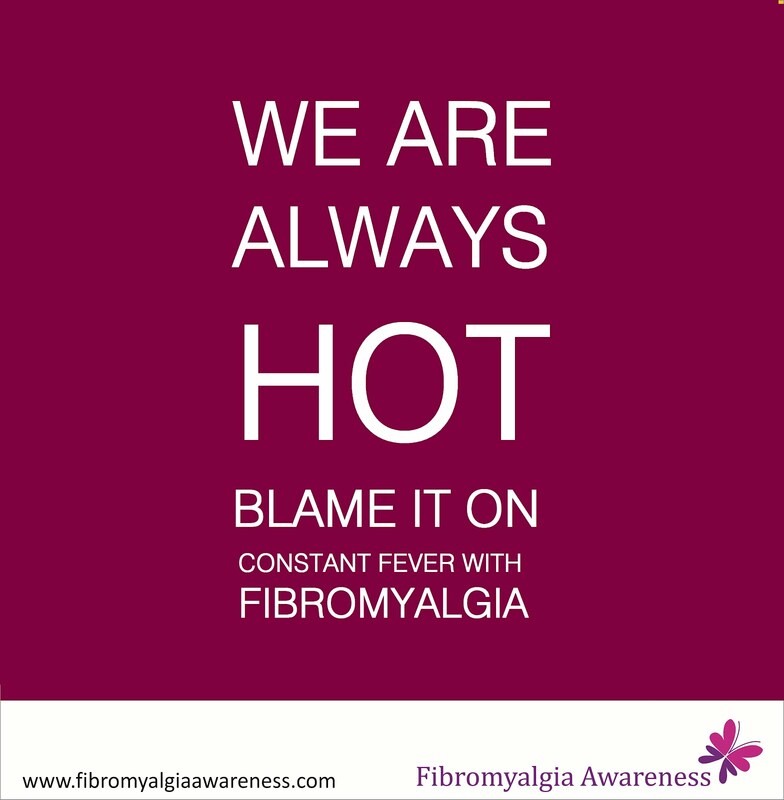 Fibromyalgia Awareness | Information, Tips, Support, Patient Stories: We are always hot! 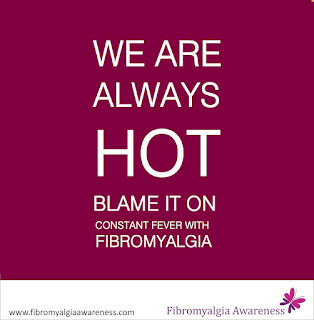 Many people with Fibromyalgia get fever that stays for weeks and months together. Sometimes it's milder and sometimes higher. Who will believe when we tell them that we have fever today, almost everyday! Been there, done that and learned a lesson - The best part is to stop mentioning it to people who don't care. Especially colleagues at workplace. 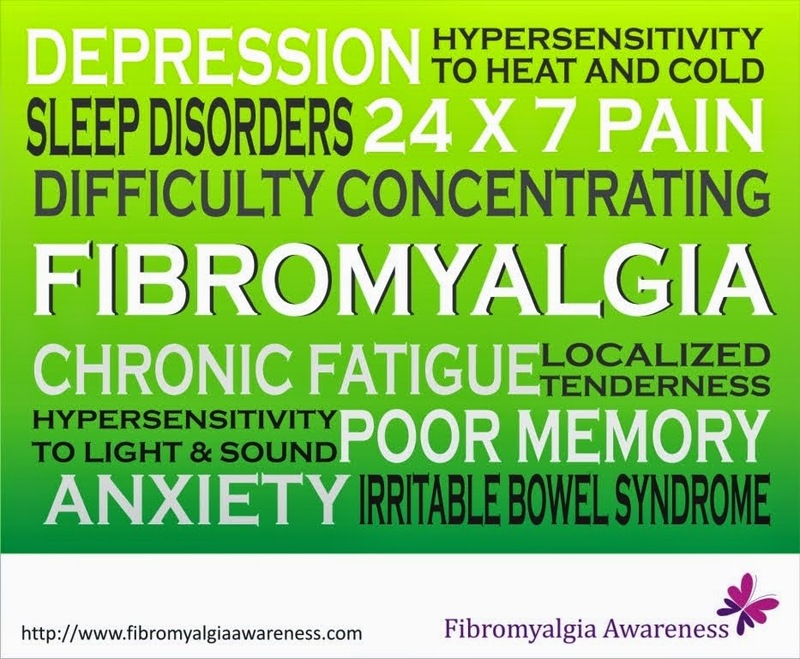 Unless, we raise so much awareness that everyone knows all about Fibromyalgia. Coming back to our fever, well, we can't stay on bed all the time. So whenever the fever is lower, try to work as much as your body permits. Soon mild fever at least will not force you to stop some of your daily chores. Had fever for five months continuously. Slowly I got used to milder fever though of course it reduces productivity. What I have also noticed is when I lie on bed for hours together with fever, it somehow tends to shoot up. Sometimes it's unavoidable, but when you can try not to lie down all day. Coz eventually the the pain increases by staying in a single position for long. And I must admit sometimes I envy the people who get the occasional viral fever / flu. How they take a leave for a couple of days (alright, I did too when I didn't have FMS) reporting fever and return feeling perfect while I stay with fever almost everyday! I wonder when my fever will disappear! Can't take leave for months together ;) The worst part is sometimes it gets difficult to identify if it is FMS fever or viral. So should I visit a GP for fever or not? Eat healthy and believe in yourself. Avoid stress and exertion. Take care. I love your positivity Anuradha. Cheers to a very hot person. Keep the smile. Hey thanks! I always look forward to your comments!